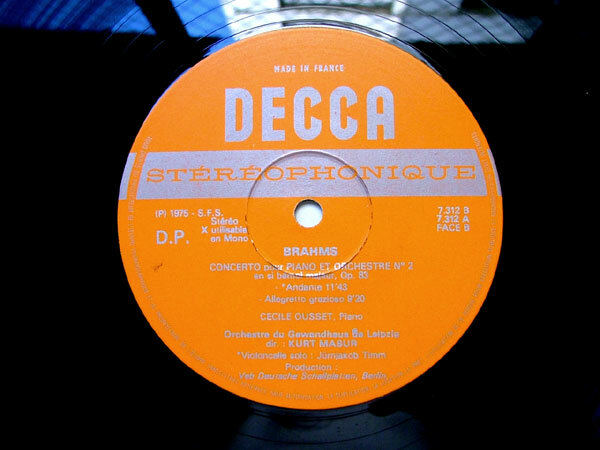 "BRAHMS: Concerto no. 2 pour Piano & Orchestre"
Click the button below to add the CECIL OUSSET & KURT MASUR Decca 7312 BRAHMS No. 2 LP to your wish list.